Bragg, Rick. The Best Cook in the World: Tales from My Momma's Table. New York: Knopf, 2018. Reid, Catherine. The Landscapes of Anne of Green Gables: the Enchanting Island that Inspired L. M. Montgomery. Kerry Michaels, photographer. Portland, Oregon: Timber Press, 2018. 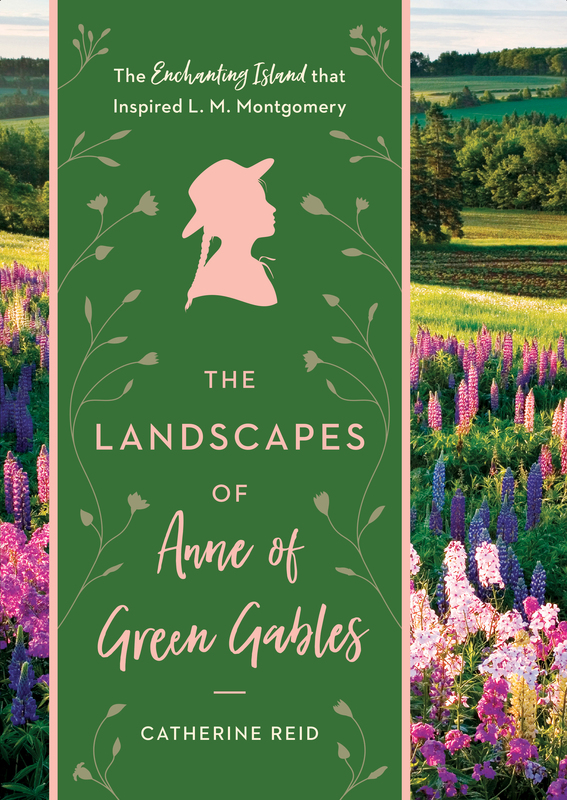 Catherine Reid and Kerry Michaels produced a book which Anne of Green Gables enthusiasts everywhere will welcome. The book's focus is on the landscapes (gardens, woods, lakes, etc.) inspiring Montgomery's settings for the Anne series. Readers see the birch wood in varying seasons. They encounter gardens which inspired the Barry's garden of the books. They see the "Lake of Shining Waters." Gorgeous flower photographs appeal to the eye. The author includes excerpts from the books as she adds details. For academics the author's analysis needs improvement, but fans of the book will treasure the book anyway. Recommended for fans of the series. Nesbo, Jo. Macbeth. London: Hogarth, 2018. This retelling places Duncan has chief police commissioner in a once-important industrial city infested with drugs, organized crime, and corruption. All the major players have roles in the police leadership. When Duncan dies, Macbeth, the head of the SWAT team, succeeds him as commissioner. The Norse Riders fill the role of a gang. The setting did not work for me. I'm not a fan of gritty noir novels, and this take on the classic Shakespeare fit the category. I received an advance electronic copy through the publisher via NetGalley with the expectation of an honest review. Beidler, James M. The Family Tree Historical Newspapers Guide: How to Find Your Ancestors in Archived Newspapers. Cincinnati: Family Tree Books, 2018. Well-known genealogist James M. Beidler discusses newspapers as a genealogical source. He covers most types of newspapers. Religious newspapers were omitted from separate treatment although a few titles showed up in a geographic sample in the book. He does an excellent job relating available databases, even acknowledging ethical questions about business practices of some. Beidler, best known for his German genealogical research, includes international newspapers, not limiting the discussion to the United States. The book's greatest flaw lies in the format of the otherwise excellent bibliography. It does not employ a recognized style manual such as Evidence Explained or Chicago Manual of Style. Since one chapter included information on citing newspapers following the recognized genealogical citation manual Evidence Explained, this surprised me. Beidler's work will become the most-cited "how to" guide on newspaper research in the genealogical community in the near future. All genealogy libraries with methodology collections should purchase a copy. I received an electronic advance copy from the publisher via NetGalley in exchange for an honest review. Bridge, Kathleen. Death by the Sea. New York: Lyrical Underground, Kensington, 2018. Liz Holt returns to Indialantic, Florida where her father runs the Indialantic by the Sea Hotel. We meet an odd assortment of characters who appear to find little to do other than drop names of old movies. (How many old titles can be fit into the book? Hundreds, it seemed.) Robbery appears to be the motive when a wealthy guest turns up dead about 40% of the way into the book. This installment failed to make me care about the amateur sleuth, detective, or any other character. I felt the author simply tried to show off her knowledge of old movies. I looked forward to a mystery set in this locale but came away disappointed. Other readers may find it more appealing. I will skip future installments. I received an advance reader's copy through NetGalley with the expectation an honest review would be written. Meredith, Anne. Portrait of a Murderer. Scottsdale, Arizona: Poisoned Pen Press, 2018. This really wasn't much of a mystery. It's more of a charcter study. The father dies. One of his children committed the murder. We know which one it was and how it was done. He's just trying to hide it from his siblings. I really disliked the entire family. It simply did not resonate well with me; however, persons who like to see character drive the story may enjoy it. It's labeled as Christmas crime. Just because the murder happened at Christmas when the family gathered does not make it a "Christmas" story. This one could occur at a family reunion any other time of the year. This is based on an electronic galley provided by the publisher through NetGalley with the expectation of an honest review.